BRB Publications, LLC. is the nation's premier publisher of references and websites used for locating public records. 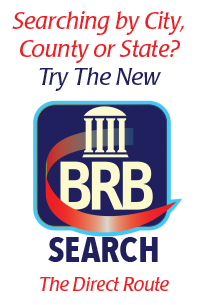 BRB's books and electronic products point the way to over 28,000 government agencies, and 3,500 public record vendors who maintain, search, or retrieve public records. BRB Publications, LLC. is the most comprehensive and accurate resource of government and vendor sources and websites used for locating public records in the U.S.
BRB’s books and electronic products provide invaluable details that go well beyond a Google search. Our in-depth descriptions of where at, how much, and is it any good all translate to enhanced productivity tools when in-depth due diligence is needed.